Of all the international conventions dealing with maritime safety, the most important is the International Convention for the Safety of Life at Sea,1974, as amended, better known as SOLAS, which covers a wide range of measures designed to improve the safety of shipping. The Convention is also one of the oldest of its kind: the first version was adopted in1914 following the sinking of the Titanic with the loss of more than 1,500 lives. Since then there have been four more versions of SOLAS. 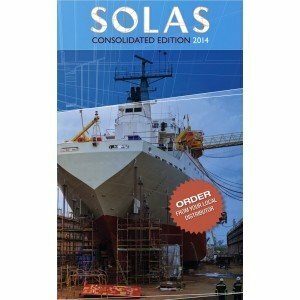 The present version was adopted in 1974 and entered into force in1980.In order to provide an easy reference to all SOLAS requirements applicable from 1 July2014, this edition presents a consolidated text of the SOLAS Convention, its Protocols of 1978 and 1988 and all amendments in effect from that date.The SOLAS Consolidated Edition 2014 is an essential reference for maritime administrations, ship manufacturers, owners and operators, shipping companies, education institutes and all others concerned with requirements of the International Convention for the Safety of Life at Sea.